Sanford utilises a variety of fishing methods to harvest our catches. Some methods, like trawling, have been developed by us over 100 years, while other methods like Precision Seafood Harvesting are in the early stages of development, aimed at eliminating unintended bycatch. 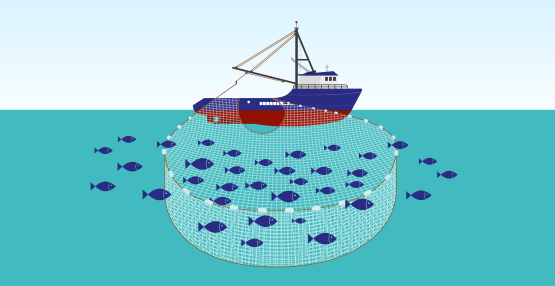 Purse seine fishing is so-named because the net resembles a purse with a drawstring. When the ‘drawstring’ is pulled it prevents the fish from “sounding”, or swimming down to escape the net. 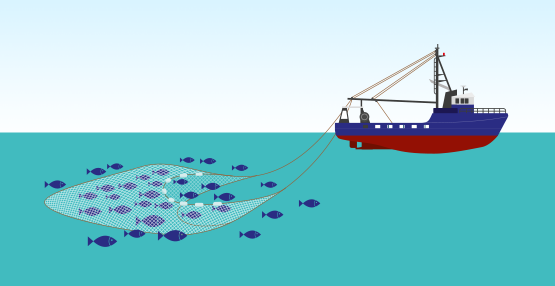 The purse seine is a preferred technique for capturing fish species which school, or aggregate close to the surface, such as mackerel and certain species of tuna. Sanford operates three inshore purse seine vessels out of Tauranga. The species harvested by these vessels are Jack Mackerel, Blue Mackerel, Kahawai and Skipjack Tuna. Fish are kept chilled on board and landed into our Tauranga plant for grading, packing and freezing. Sanford has been involved in the purse seine fishery since the 70’s and we continue to develop ways to limit unintended by-catch and release these fish alive. Longline fishing is a commercial fishing technique that uses a line with baited hooks attached at intervals by branch lines known as snoods. Sanford’s deepwater longline fisheries catch Ling and Toothfish. These vessels freeze their catch at sea, with some voyages lasting more than 90 days, travelling as far as the Ross Sea and the waters adjacent to South Georgia. We also have a smaller inshore long liner that operates out of Auckland, predominantly catching Snapper. Sanford works closely with Southern Seabird Solutions to continually develop new ways to mitigate seabird interactions with our longline vessels. Our fishers are the real champions of this and are always looking for ways to limit these interactions. Trawling is a method of fishing that involves pulling a fishing net through the water behind a vessel. Sanford purchased its first trawler in 1900, the Minnie Cassey, at 101 feet long, with two 25 HP steam engines. Today we operate both deepsea and inshore trawlers ranging in length from 20 to 64 meters. 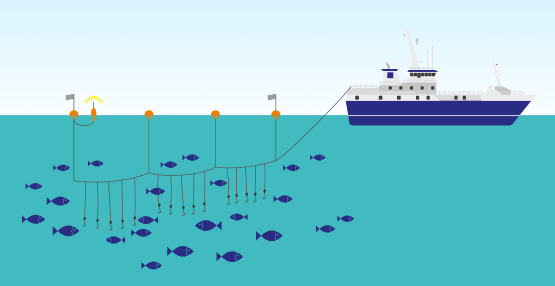 We are continually developing and refining the equipment used in our trawling operations to provide energy efficiencies, limit unintended by-catch, and improve fish quality. Our most innovative new programme is Precision Seafood Harvesting, in partnership with Sealord, Aotearoa Fisheries, Plant and Food and the Ministry of Primary Industries. This radical new technique does away with traditional trawl nets. Instead, fish are contained and swim comfortably underwater inside a large flexible PVC liner where they can be sorted for the correct size and species before being brought onboard the fishing vessel. Precision Seafood Harvesting won the Supreme Innovator of the Year Award at the 2014 New Zealand Innovator Awards and also won the Innovation in Sustainability & Clean-Tech Award. A Danish seine, also occasionally call an anchor seine, consists of a conical net with two long wings with a bag where the fish collect. The seine vessel drags the warps and the net in a circle around the fish. The motion of the warps herds the fish into the central net. Sanford operates one Danish seine vessel out of Auckland, targeting mixed inshore species including Snapper, Gurnard and John Dory. This is a method of fishing that has been used effectively in New Zealand waters for many years and continues to develop with the use of modern materials in the nets and warps.